Designed for components requiring higher accuracy level. The ideal grinder combining precision, high speed and productivity for large batch and mass production in automobile, bearings and allied industries. 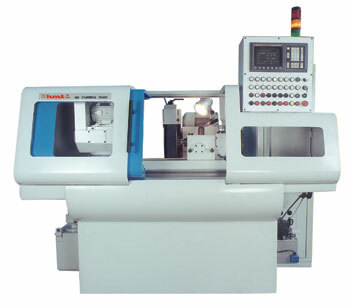 » Two axes CNC cylindrical grinding machine. » Auto profile dressing by interpolation of both axes. » Provision for interfacing of in-process gauge, auto flagging and auto dynamic balancing. » Rapid return and auto positioning of wheel slide dressing position. » Program test through dry run.